Gathering specialists from Armenia, France, Germany, the Czech Republic and Italy, the conference aimed at providing new impetus for Armenian studies, in a venue associated with the names of such renowned past experts as Paolo Cuneo, Adriano Alpago Novello and Gianclaudio Macchiarella. 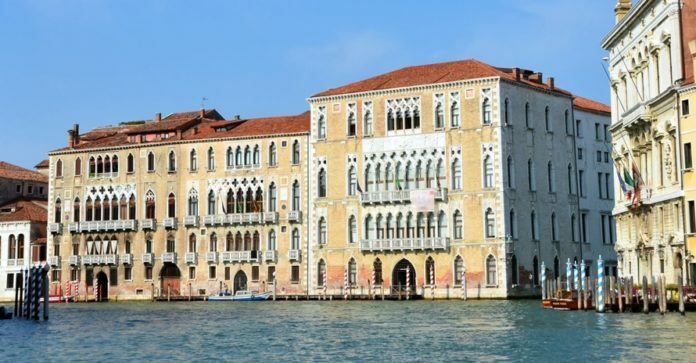 The Ca’ Foscari university, continuing its mission as a center for cultural encounter, seeks to place new emphasis on the study of Armenian art in the Venetian context. 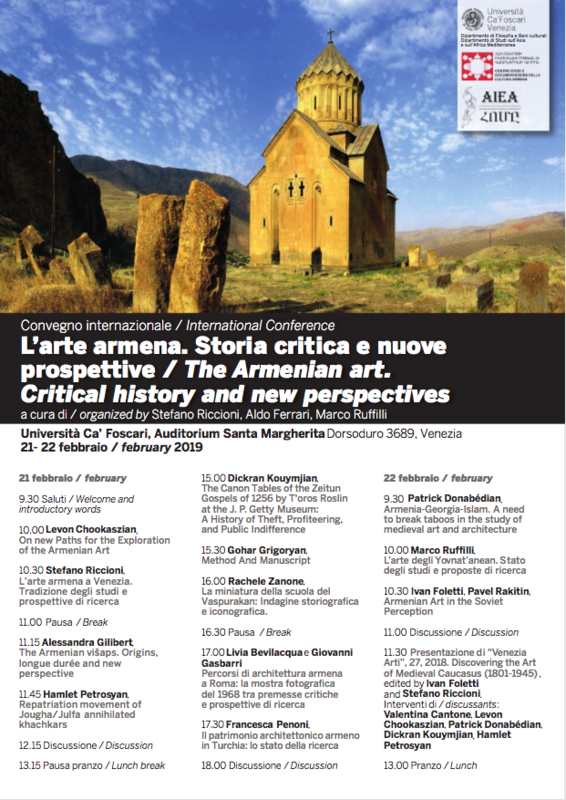 For the past five years, the seminars of Armenian art at Ca’ Foscari have been organized by Stefano Riccioni, Aldo Ferrari and Marco Ruffilli, in the Department of Studies on Asia and Mediterranean Africa (which hosts the Chair for Armenian Language and Literature). The same three scholars organized this year’s conference, which presented advanced research projects in various aspects of Armenian art, from architecture to miniatures, from khachkars to painting. Gohar Grigoryan presented a paper on “Method and Manuscript,” followed by Rachele Zanone, who presented a historiographical and iconographc study of the miniature art of Vaspurakan. Patrick Donabedian delivered a lecture on “Armenia-Georgia-Islam: A need to break taboos in the study of Medieval art and architecture.” Marco Ruffilli discussed spoke on “The art of the Yovnat’anean – current status and research proposals.” Ivan Foletti and Pavel Rakitin concluded with a discussion of Armenian art in the Soviet perception. The new book, Discovering the Art of Medieval Caucasus (1801-1945) was the subject of a round table discussion that completed the conference proceedings. Published in “Venezia Arti”, volume 27 (2018), the study was edited by conference participants Ivan Foletti and Stefano Riccioni. As Riccioni pointed out, this conference is to be seen as the first in a series of international meetings on the theme of Caucasian art, which is part of an international research project, “Seminarium Caucasicum. Studies in Art on Medieval Caucasus (And Beyond),” directed by Michele Bacci (University of Fribourg), Ivan Foletti (Masaryk University) and Stefano Riccioni (Ca’ Foscari University of Venice). The project promotes regional discussions dedicated to the arts of the region and the conservation and care of their artistic heritage.